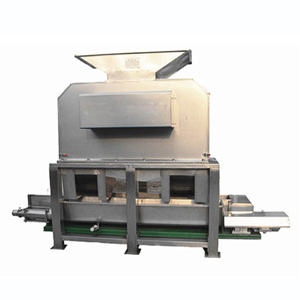 Fruit pulping machine is used to completely separate fruit juice and slag, and remove the cores at the same time. As it plays the part of juice further processing, it is also called fruit juice refining machine. 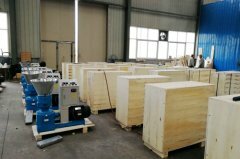 The solid content in juice and humidity of slag can be adjusted. It adopts international advanced technology, and combines the function of crushing and centrifugation. As the whole process taken in closed environment, it minimize the oxidation and maximize the original taste reservation. Fruit pulping machine applies to a varieties of fruits, like wine grapes, litchi, citrus juice, strawberries, cranberry, blueberry, pineapples, etc. Besides, vegetables are also applicable. 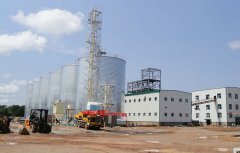 Fruit pulping machine is constituted by feed hopper, band screen, separation axis, gearing, machine frames, protective cover and other components. 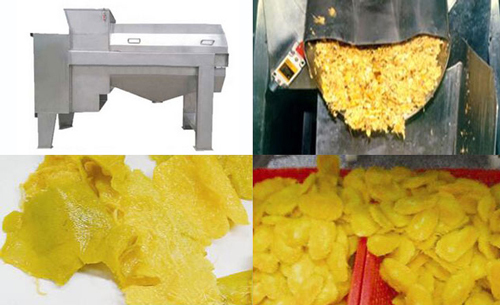 After fruit sorting, cleaning and peeling process, the raw materials are fed into the fruit pulping machine. Under the action of high-speed separation axis, the kernel and trace amount of peel will be separated from fruit flesh and discharged through the outlet. And the fruit pulps get into the screw pump and are transmitted to the next procedures. The key components such as pneumatic parts, electric parts and operation parts are purchase from world top supplier, ensuring good pulping effect. The machine adopts linear type of structure, which facilitate the installation and maintenance. The machine adopts high pressure double crank to control the die opening and closing. So the interior sealing is reliable without leakage. 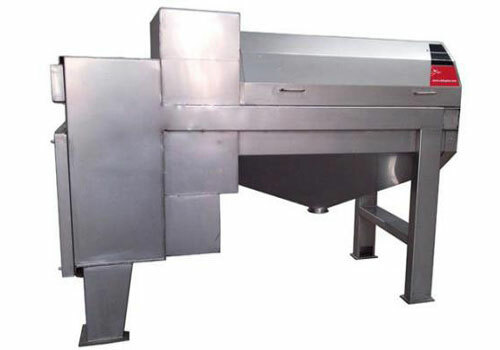 The machine is made of 304 stainless steel that conforms to food hygienic standards. It is efficient in separating juice and slag, with stable performance, low energy consumption and low failure rate. 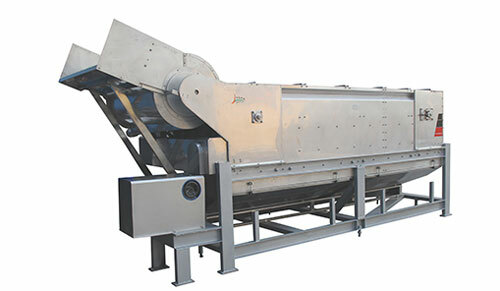 The fruit pulping machine can work independently or coordinate with other fruit processing machinery. You can change the sieve of different diameters to achieve different pulping effects.